Breakfast is literally that: Breaking the Fast. Your body shuts down a lot of it’s processes while you sleep. 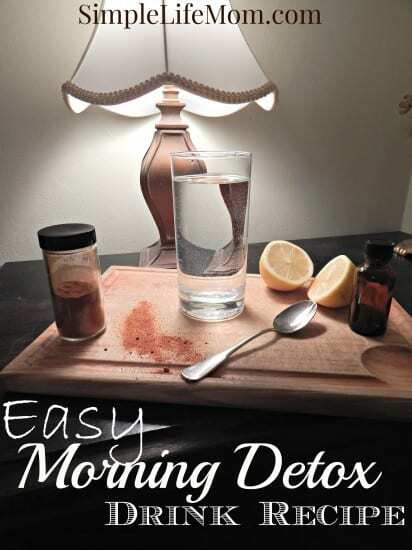 Drinking a cleansing drink first thing in the morning is a great way to get everything flowing again and rid yourself of waste and toxins. 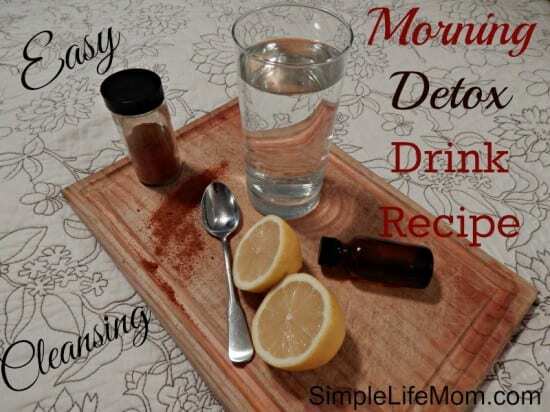 Here is a Simple Easy Detox Drink Recipe that you can try. I like it because it doesn’t involve blending and only takes a few seconds to fix. First, consult with your doctor before beginning any type of detox diet. I do not recommend a drink cleanse without solid food before doing your own research. Some ingredients are fabulous in daily small quantities, but can cause harm in larger quantities over time on a liquid diet (like too much cayenne, for example). Instead, this is meant to be a daily morning wake up drink before eating a regular breakfast. Even drinking just a large normal glass of water in the morning will help your kidneys and liver to flush, cleanse, and kind of “lubricate” your whole system. Adding certain other ingredients will only enhance the cleansing process. Lemon Juice is a citric acid. Citric acid is known to help your stomach digest, as well as stimulate digestive juice production. The acid also helps create an atmosphere where bacteria cannot survive. This means it will help to clear out your throat, stomach, and intestines as well. Please be aware that most lemon juice that you buy in a bottle has preservatives. Lemons last a while in your fridge so don’t be afraid to buy real ones. Cayenne Pepper gives your body a boost in digesting carbohydrates, warms your system, and helps stimulate your metabolism. Talk about getting your body going in the morning! Mint is soothing to your stomach, tastes great, increases flow of digestive fluids, and serves to wake up your whole system. slice a lemon in half and squeeze juice into luke-warm water (cold water slows digestion). Use a spoon to scoop out any seeds that fell in. Add a pinch of cayenne pepper (don't worry, it's such a small amount that you won't taste it) and 2 drops of peppermint essential oil. You can easily do this every morning. Let me know how you like it and what other ingredients you’ve tried. The Easy Morning Detox Drink Recipe sounds great, but I’m allergic to peppermint…….Any suggestions for a replacement ? You can just leave it out. There’s so much in the peppermint family! You’ll still get your system flowing by drinking a large glass of lemon water with a pinch of cayenne. I’ve always wanted to try a cleanse drink, but I don’t know whether or not I would hate it. Does it taste good? Do you miss solid food? It tastes like lemon water with a little bit of peppermint. I would recommend doing a lot of research before doing a liquid diet, though I fast occasionally for different reasons. If you do that, then you do miss food, very much so, for the first 2-3 days, then not so much. This is not meant for that. It is simply meant to wake up your system first thing in the morning, to get everything flowing. Then when you eat your breakfast (break the overnight fast you took while sleeping) your system will be ready to take it all on. I don’t do breakfast well. It upsets my stomach, but this helps tremendously. I really like this drink, I have not had it with peppermint, but it sounds good. I believe in detoxing regularly. This is a simple and easy solution and with the ingredients it should do the job. Thanks for sharing on Real Food Fridays. Pinned & Twitted. Have a healthy happy New Years. I think it’s super dangerous to put two drops of peppermint essential oil in your belly. The stuff is EXTREMELY strong!! When I get either a mild case of food poisoning, ya know just feel icky from something I ate or my stomach feels like I ingested something that is just not digesting right or I feel neaseous then I will take a very large glass – like 24 oz and fill it up with filtered water, add a drop of peppermint EO and stir well then pour half down the drain and refill with more water and that more than does the job of completely resolving the problem!! It just goes to town on whatever food is in my belly that is causing me discomfort or if it is bacteria like a mild case of food poisoning, it easily kills it and quickly. I’m very, very glad I figured this little trick. It has saved me from visits to the restroom that would have been most unpleasant plus hours of discomfort. But being that it is THAT STRONG, I think that taking that much would literally tear up the lining in your stomach or at the very least destroy all bacteria, good and bad. Once I added 2 drops of peppermint oil to a palm full of almond oil to use as a massage oil for a head/neck-ache as it works well for that. 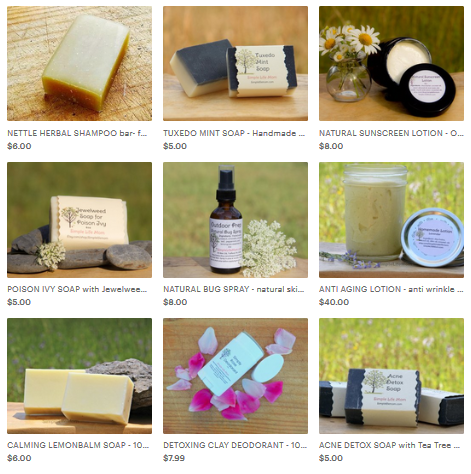 Well I must not have used enough almond oil or I didn’t mix it up well or something but when I rubbed it on my neck it burnt me something fierce and I buy good oils from mountainroseherbs.com (before they put on the shipping restriction, soooo bummed about that!!). In any case I think your readers should know that while peppermint is a very good antibiotic, antiseptic, anti fungal, analgesic,…..among many other things, it is very, very potent! Just be careful and I certainly would never do this everyday or even two days in a row!! Just sayin =). Otherwise I think this drink is great at what you’re saying it does plus I think it would help people with arthritis as well as with weight loss. So the capsacin, lemon combo is fabulous!! I used either that combo or lemon and turmeric with similar results.